Sometimes a performance takes an unexpected turn. Particularly in live situations, with an improvising band, this can happen frequently. Even in the recording studio it is important to open oneself to music in this way. It is the unexpected turns that can lead us to musical vistas we did not know were available and would not be aware of had we not trusted the new path. I think that trust is the key. If we always play in our comfort zone we do not leave any opening for inspiration to reach us. If we DO see an alternate path but shy away from it, eventually those paths will not present themselves and our music will become dry and repetitive. Trust the moment, and trust the creative impulse. There may be some areas of life where it is advisable to play it safe, but music is not one of them. If you're going to take risks you're going to need to work with people you trust in a supportive environment. I was fortunate to have Al Improta and Joe Chirco join me as the rhythm section for this project, and I've been very pleased with the sessions at Cloud9 Recording. 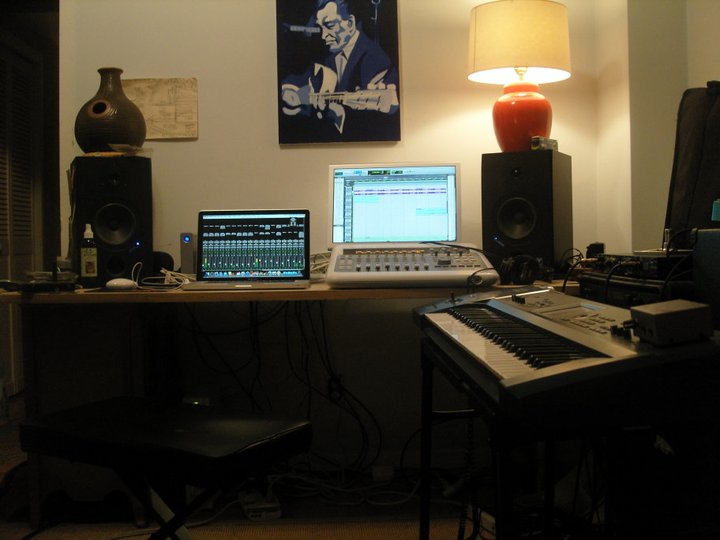 I needed keyboards on a few songs and I've had great results on past projects working with Geoffrey Armes at Armes Studio in New York City. I brought three songs from the current project to Geoffrey. Two songs that I thought needed a B3 organ sound, "A Rock and A Nail" and "A Girl of Nineteen", and "Brooklyn, 1964" which I thought would benefit from some piano. I decided to play the organ parts myself but asked Geoffrey to play the piano. In addition to having great ears as a producer/engineer Geoffrey is a talented musician who plays a number of instruments well. He played an excellent piano part on "A Million Years Ago" from the Kathy Fleischmann Band CD that we released in 2009. My organ parts were very straight forward, so I played through those two songs and we captured solid performances. Geoffrey then improvised a fitting piano part for "Brooklyn, 1964". The song now reminds me a bit of mid 70's Grateful Dead with Keith Godchaux on piano. It was a productive few hours and always enjoyable working with Geoffrey. Next I will be back at Cloud9 Recording to sing lead vocals and have some friends contribute backing vocals. I'll write about that in the next blog. Thanks for reading!